Somewhere in the Arctic, in the interior of the Greenland ice sheets, there lies a glacier like no other. 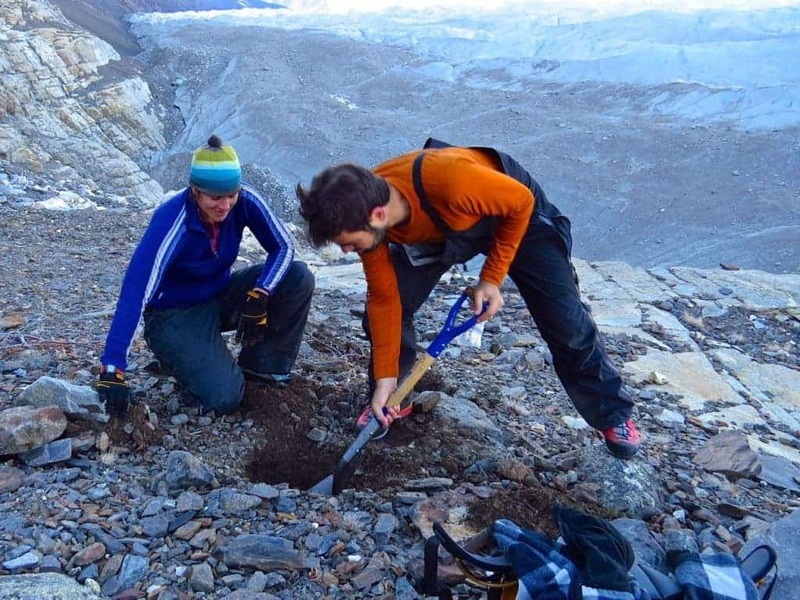 This glacier quakes once every minute, more frequently than ever observed. Geologists now believe that studying these ice quakes could help them better understand how ice melts and reacts to rising temperatures and better model ice flow. 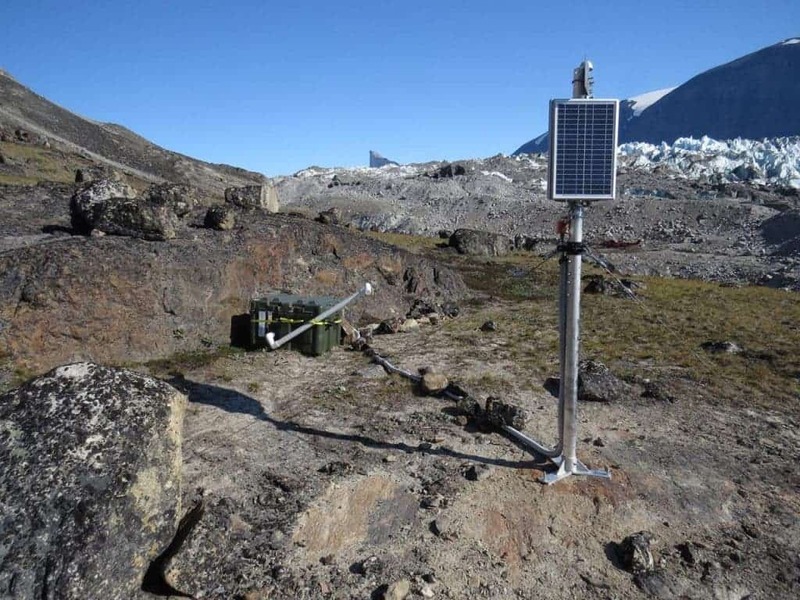 Researchers work in Greenland to instill seismic activity detectors, buried into glacier sediment. It’s only natural that as temperatures continue to rise across the globe, ice starts to melt. But while we know that very well, we’re still struggling to quantify exactly how and when that is happening. As glaciers melt, they also slide and budge, and this glacier motion could help us understand the short-term factors that contribute to the larger scale motion of glaciers, according to Timothy Bartholomaus, a glaciologist at the University of Texas. “To make better predictions of how ice flow is going to occur in the future, we have to have that mechanistic understanding of how ice flows now,” Bartholomaus said. He and other researchers from the University of Texas Institute for Geophysics and the University of Kansas have detected over one million icequakes produced by a single Greenland glacier named Kangerlussuup Sermia, or KS for short. Their findings were reported at the fall meeting of the American Geophysics Union (AGU). They explain that while many glaciers quake, none has been observed to do so at this frequency. KS itself spans over 100 kilometers from the interior of the Greenland Ice Sheet to the Western coast. In order to study it seismically, the team placed three soup-can sized seismometers close to it in 2013, and have been recording data ever since. They believe the seismic activity can be correlated somehow with the amount of water coming out of the glacier. The seismometer sensor is buried underground, with surface – supplied batteries, GPS, and solar panels to record timing of icequakes. Of course, tectonic earthquakes are fundamentally different from icequakes in a number of aspects; tectonic quakes are generally much stronger, and don’t happen as often and as regularly as icequakes do. “You can imagine that glaciers are flowing down under the influence of gravity, and there are various factors that are holding them back, so they don’t just zip along at Mach speeds,” he said. Estimating the rate at which ice melts is vital for future predictions, especially as it’s not just about ice melting directly. Some basins are held in place only by small chunks of ice, just like wine in a bottle is held by a cork. So even slight warming and melting could cause significant sea level rise. This melting rate could be the difference between Miami being a sunny vacation destination or an urban swamp.